Can technology help us create social, behavioral, and practical change for gender equality? We think so. We want to channel technology as a scalable instrument for change in beliefs and behaviors that advance gender equality. A hackathon creates space for people to achieve change together. What is the genEquality Hackathon? The genEquality Hackathon is a global initiative to create innovative technology and tools that advance at work, at home, in public, and in culture. Every genEquality Hackathon is global. Diverse teams and participants everywhere independently develop innovative ideas and smart, scalable solutions to serious problems over the course of several months. The genEquality Hackathon concludes with a Showcase + Pitch Competition where participants can pitch and earn seed funding for their solution. We convene people of diverse backgrounds, experiences, skillsets, and more to build solutions together. We actively recruit developers, community organizers, data scientists, behavioral scientists, media makers, designers, and more. We are committed to UN Sustainable Development Goal (SDG) #5 (gender equality) and inclusion in all that we do, and that includes removing barriers to participation for people from diverse backgrounds. We maintain a multi-month format to maximize the ability of those with atypical “hacker” backgrounds – e.g. parents, people with multiple jobs, etc. – to participate. Interested in joining the next genEquality Hackathon? 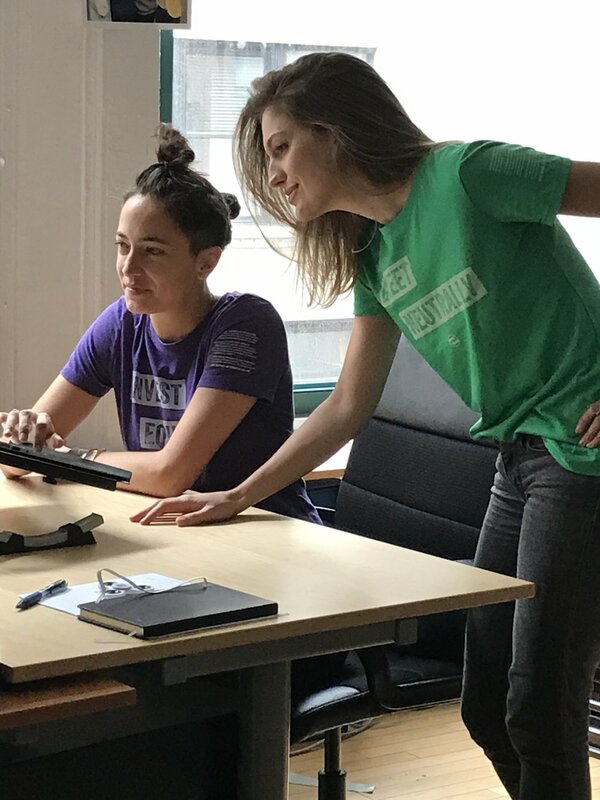 The inaugural genEquality Hackathon kicked off in New York City during Global Citizen Week and the UN General Assembly in September 2018 and continued with Hack Nights and events through January 2019. Participants were assigned a Hackathon Mentor, and had access to a roster of expert advisors from organizations such as Vice, Google, Microsoft, ideas42, as well as exclusive partner resources such as $5,000 in Amazon Web Services (AWS) credits. Two-thirds of our inaugural Hackathon participants were women and hailed from around the world, including across the US, Mexico, Germany, India, Myanmar, and Japan. At the inaugural Showcase + Pitch Competition, we learned about and saw demos from a variety of participants and teams on tech + tools they have developed. We were joined by a phenomenal Judges Panel of tech executives and investors. Our participants and teams pitched for up to $10,000 in seed funding and prizes that include 1:1 advisory time with a partner from Y Combinator. MonumentAll: an augmented-reality app that helps navigate the world of public monuments and memorials using a more gender-inclusive lens. Constitute: a Twitter-based app that analyzes and raises awareness of online rhetoric towards female politicians and candidates. WMN: a corporate diagnostics app that quantifies the impact of empowerment initiatives in the workplace. Interested in sponsoring the next genEquality Hackathon? We'd love that. Email us at hello@genequality.org, and we'll get the ball rolling!